Which cities around the world are most worth visiting? If you want to experience as many must-see places as possible, you should definitely add London, Rome, San Francisco, Istanbul and Budapest to your travel bucket list. 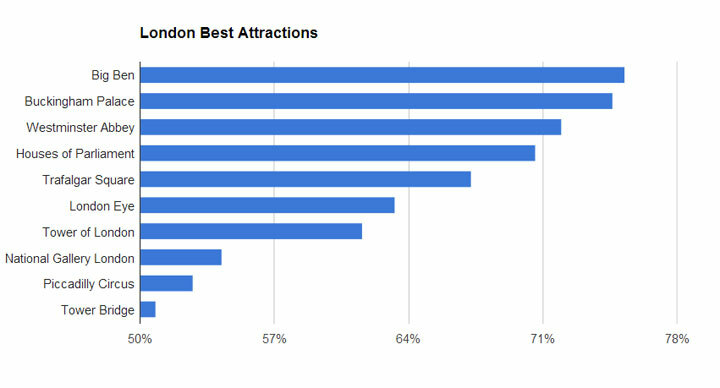 All these cities have at least 10 sights that attract the attention of more than half of the visiting tourists. Las Vegas and Singapore, on the other hand, have no such place to offer and you’ll have to settle for not-so-famous attractions if you plan to spend a few days here. The travel planner Tripomatic.com researched 100,000 trip itineraries created during summer 2013 to find out which places attracted the majority of tourists in the 30 most visited destinations worldwide. 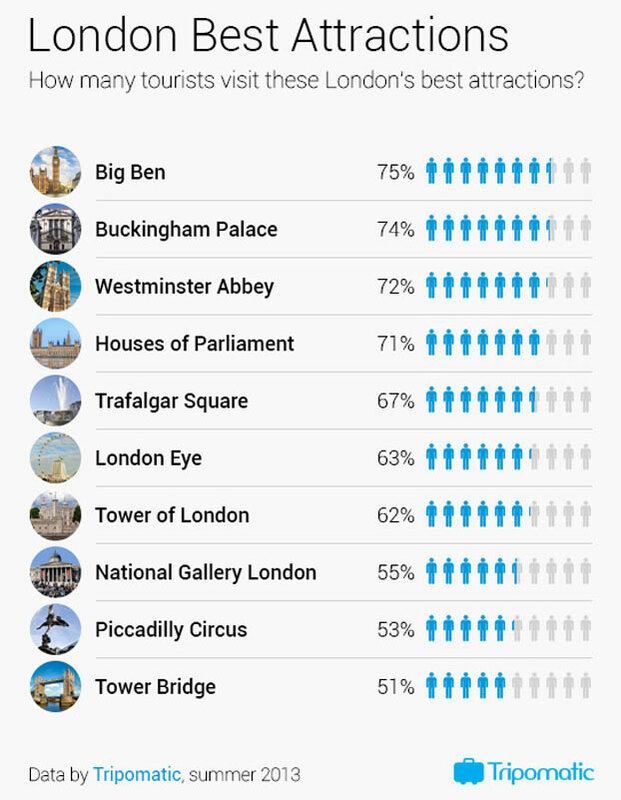 In London more than 50% of travelers planned to see top 10 sights including Big Ben, Buckingham Palace and Houses of Parliament. In New York and Paris there are 7 hotspots interesting enough to persuade over half of the tourists to add them to their trip plan. For a short city break the best choices are Budapest with 12 top attractions, followed by Rome, San Francisco and Istanbul with 11 places visited by more than 50%. When you plan a trip to several cities, Italy has the most to offer, with great historical sights in Rome, Venice and Florence. All these cities can boast with at least 4 attractions that are visited by over 75% of tourists visiting the city – no other country in the world can provide travelers with more. Historical buildings such as Colloseum in Rome and famous museums such as Louvre in Paris are usually the most visited place in the city. However there are always exceptions – in Amsterdam the most visited place is the Red Light District, surpassing both the Van Gogh Museum and the Royal Palace. Tripomatic makes trip planning easy and fun. This free service recommends interesting places in over 1500 destinations worldwide and helps independent travelers make their personalized travel guides. Trip itineraries can be prepared easily using the website www.tripomatic.com or with mobile apps for iPhone and Android. Tripomatic is trip planning you’ll love!